Kentucky game warden applicants are advised to be both qualified for the role and able to prove they are the best candidates for the job. There is stiff competition for the few positions that become available each year and applicants should be ready to demonstrate they have what it takes to effectively enforce natural resource conservation laws in the state’s most popular areas for hunting and angling. Game wardens are responsible for more than law enforcement, performing tasks that include environmental interpretation education, collecting census information on the wildlife and habitats in their area, and occasionally participating in search and rescue missions. With fierce competition for open game warden positions in Kentucky, applicants need to understand qualifications and best practices, and what the selection process entails in order to have the best shot at landing the job. Candidates should be prepared for multiple interviews and a rigorous selection process. Kentucky is a state with much diversity in terms of its natural landscape, animal habitats and resources. It has the world’s longest cave system, many navigable waterways, and large lakes. Kentucky wildlife census data in recent years has shown that the state has the highest deer and turkey populations in the nation, as well as the largest free-ranging elk herd east of the Mississippi River. Kentucky has a real need for individuals capable of protecting and managing the state’s abundant resources. Conservation officers throughout the state are committed to enforcing fish and game regulations through patrol and enforcement, issuing citations, investigating boating and hunting accidents, and supporting agency education programs. Conservation officers also provide the public with hunting and fishing information and promote and coordinate hunter education and firearm and boating safety classes. The diverse set of job duties means that candidates must be prepared to showcase their skills, knowledge, and motivation when applying for the jobs that become available. Listed below are the Kentucky Department of Fish and Wildlife Resources’ minimum qualifications to become a Conservation Officer. Additional information as well as job postings are available through the Kentucky state web portal. License: A valid Kentucky-issued driver’s license is required. Academic Credentials: Completion of high school or GED is required; an Associate degree or completion of 54 semester hours from a college or university, OR Experience in sworn law enforcement that includes making arrest for criminal activity and conducting criminal investigations OR military service will substitute for the required education on a year for year basis, OR two years’ experience working in wildlife resources, agriculture, natural resources or recreation will substitute for each year of the required education. Interview: Candidates will have a panel interview with senior enforcement officers designed to evaluate experience, knowledge and demeanor. Vision: The applicant must good corrected or uncorrected binocular vision, and have color vision consistent with the demands of the job. Must complete a 100 yard swim using either freestyle, breast stroke or side stroke followed by a 10 minute tread immediately followed by retrieving an object from 7 feet of water. 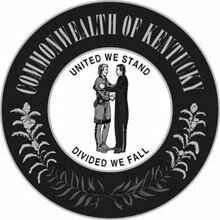 Since the Kentucky Department of Fish and Wildlife Resources employs conservation officers in the Commonwealth as commissioned law enforcement officers with Peace Officer Professional Standard certification, their salary schedule is similar to that of other law enforcement officers. Still, their salaries can vary depending on many factors including location, experience, and level of education.